In late January, Brainboost had its 2nd Annual BLAST Fair (the Brainboost Learners’ Arts, Science and Technology Fair) and we were astounded by all of the amazing projects and performances that our students showcased. Fifteen students participated in the fair, covering topics as varied as World War II history, mythology, mathematical art, invertebrate zoology, poetry, and stop motion animation. Since November, these talented students had been working steadily on their projects until they were ready to present! We were fortunate to have three judges for the event: former Brainboost staff, Alison Watts-Grant and Caitlin Leahy, as well as local youth support worker, Adrian Bustamante. Our judges had a very difficult task in deciding which projects would win prizes as there were so many tremendous works created by the participants! In the end, we awarded prizes to the recipients you see below. But at BrainBoost, everyone’s a winner! We had a pizza party for all participants to recognize all their hard work and fun was had by all. Thank you to everyone who was a part of the BLAST Fair and helped bring it to life. We are already looking forward to see next year’s projects! 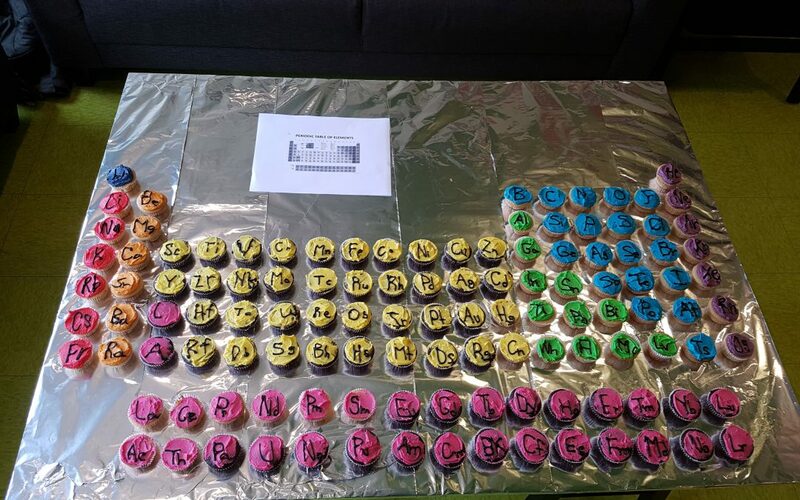 Pictured above is the periodic table of cupcakes, a beautiful treat cooked up by BB Foods teacher Rachel!